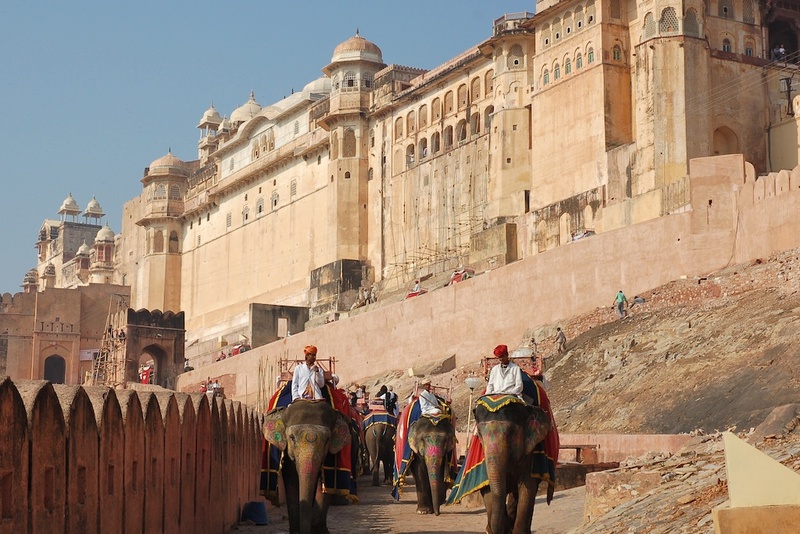 Rajasthan, the forts & palaces, is one of the most vibrant and colourful Indian states. It is the largest state in the country. With its rich cultural features it has been a much sought after tourist destination in the country. It attracts tourists from all over the world. The state has lots to offer its visitors. Among most sought after tourist attractions to see in this royal and imperial Indian state include fantastic forts, elegant palaces, beautiful temples, splendid havelis, magnificent mansions & castles, shimmering desert, rippling sand dunes, wildlife sanctuaries & national parks, and many historical cities. In fact, there is a magic about this royal state that draws hordes of visitors from all over India and of course from abroad. Jaipur is more popularly known as the Pink city because of the pink color exterior of most of the buildings in the city. It is a royal city with its bewitching palaces, rugged fortresses, enchanting havelis and colorful bazaars. Amber Fort is a major tourist attraction in Jaipur. Set on a hilltop on the outskirts of Jaipur, history records that it took close to two centuries to complete this fort. The entire city is enclosed by a city wall prominently known for its rich architectural and historical legacy. Another fascinating limelight in Jaipur is Hawa Mahal or Palace of winds. Your Rajasthan tour is incomplete, if you do not shop for ancient jewellery, precious stones, textiles and leather wears. There are numerous bazaars Johari Bazaar, Khazane Walon ka Rasta, Tripolia Bazaar and Bapu Bazaar are quite famous market hubs of Jaipur. Udiapur is the Dream City of Rajasthan. The fabulous lake palaces in Udaipur that look like white pearls in the shimmering waters of Lake Pichola are a splendorous sight. Udaipur, often referred to as the landscaped city is fondly called the “Venice of the East”. The chief tourist attraction of Udaipur is the Lake Palace or Jag Niwas. This is a beautiful island palace situated on picturesque Lake Pichola. The commanding white marble structure appears like emerging out of the shimmering blue waters on the lake, creating a spellbinding effect The City of Lakes ‘Udaipur’ is rightly rated as a precious jewel in the crown of Rajasthan, known for its pristine blue oasis in the heart of desert, is also the most preferred tourist destination across the globe. 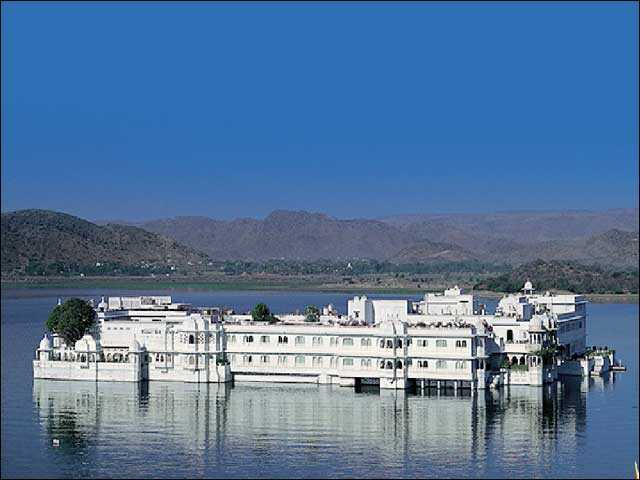 Udaipur, reside on the banks of three lakes, that protects the everlasting beauty of this town. Ranthambore National Park is the finest wildlife reserve in India also known as the domain of great Indian tiger. On your jungle safari tour explore the great wildlife and visit the magnificent Ranthambore Fort nestling on a hill top. The lush green belts of Ranthambore were once the hunting ground of Maharajahs of Jaipur. Marvellously located in the hearth of the Thar Desert, Jaisalmer is a charming city of Rajasthan. It has been one of the must see places to visit during Rajasthan India tours. It attracts travellers from all over the world and provides them ample opportunities for sightseeing and exploring desert and sand dunes. Golden Fort, Jain Temples and havelis are key attractions to see in Jaisalmer. This enthralling city has been labelled as the “Golden City” because of the honey colour that bestowed on its stone bastion by the posing sun. 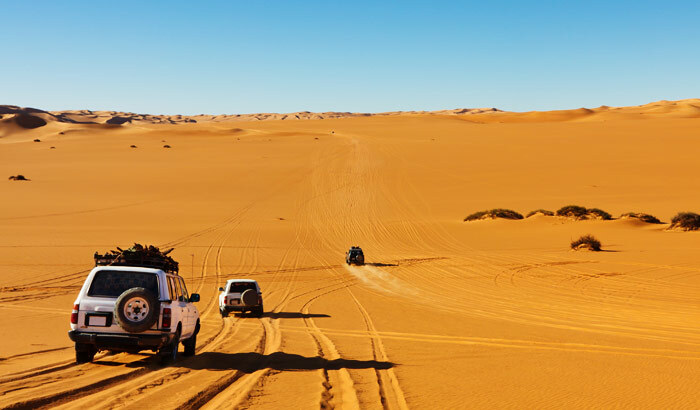 While you are in Jaisalmer you can indulge in Dune bashing, better known as Desert Safari. It is an exciting way of exploring sand dunes of Thar Desert. 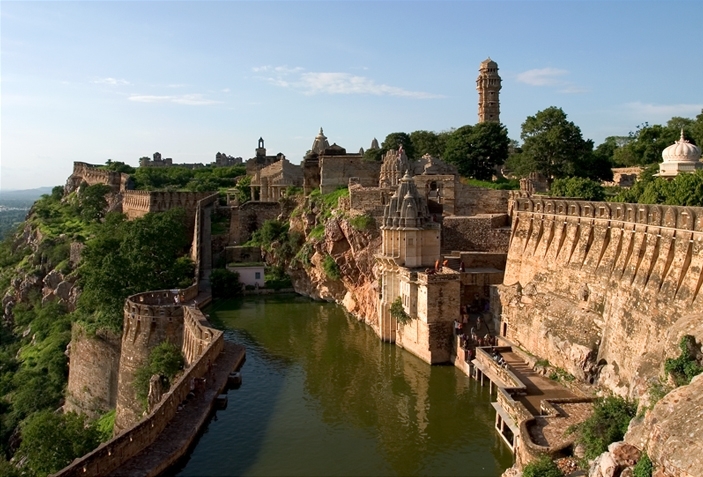 Chittorgarh famous for its magnificent Chittorgarh Fort is one of the most historically significant towns in Rajasthan much known for the tales of valour and pride. If you are visiting Chittaur for the first time than do visit the popular episodes from the two great epics- Ramayana and Mahabharata, that are build inside the Vijay Stambha or The Tower of Victory. This palace is imposing 37 m high structure with nine stories within the fort, the royal palace is covered with the exquisite sculptures of Hindu deities, which are worth seeing. Yet another place of attraction is the Padmini Palace, it is build beside a large lotus pool with a pavilion in its centre, continuing from the south origin. The legend of Chittor relates that, at the time when Rani Padmini sat on these pavilions, the Pathan king of Delhi Ala-ud-din Khilji was permitted to see her reflection on the mirror in the palace. Pushkar is a sacred town for the Hindus. The most famous is the Brahma Temple said to be the only Temple in the world dedicated to the deity. Every November this sleepy little town of Pushkar comes alive with a riot of colours. Many tourists from different countries come to Pushkar Fair to get a glimpse of the magic of Pushkar and to experience an unparalleled and unforgettable experience. It is the shrine of Moin-ud-din chishti. It is a place revered by people of all religions. Each year several pilgrims descend to the shrine to offer their prayers and seek blessings. Sariska is one of the major travel destinations of Rajasthan because of its Tiger Reserve Park. At the distance of 35 kilometres away from Alwar in the backdrop of Aravali Hills, Sariska is a quiet and peaceful travel destination. It offers an exciting wildlife experience. Although most travel guides have not mentioned this place but it deserves a visit. 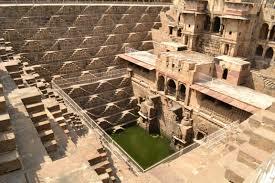 Located close to the city of Jaipur the Abhaneri step well is a water reservoir dating back to 9th century AD. You can descend a few steps into the water reservoir and not stop marvelling at the magnificient architecture. Visit any city in Rajasthan and it will entice you with its wealth of tourist attractions – impregnable forts and romantic palaces in cities like Jaipur, Chittorgarh, Udaipur and Jodhpur, awe-inspiring temples in Mount Abu and some exotic wildlife reserves. Could you pay your bills with Room n House?